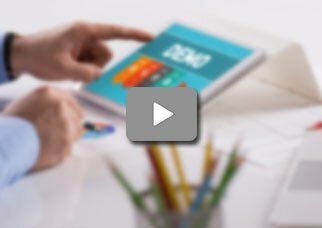 Developed by Amazing Charts, InLight EHR is a cloud-based Health IT software that offers Electronic Medical Records and Practices management solutions. The system is user-friendly, fast and comprehensive. It’s been designed by a qualified team of medical professionals and is best suited for small medical practices specializing in various medical specialties. 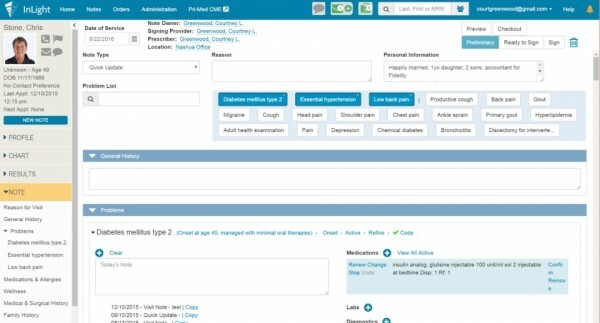 InLight EHR assists users in eliminating Meaningful Use (MU) barriers. 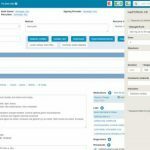 The software offers numerous features for direct primary care entities and concierge medicine practices, which include subscription-based enhancement tools, direct communication with patients and membership management applications. Other core features of this system include easy charting, voice recognition for data entry, e-prescribing and appointment management. 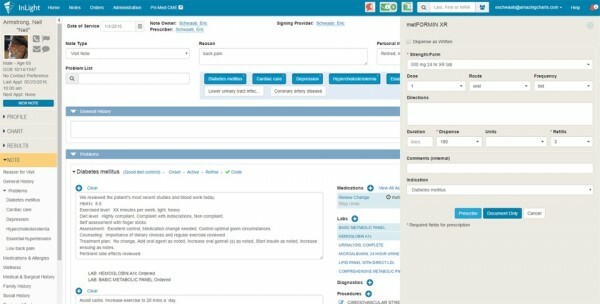 InLight EHR is available in three different types: EHR with billing, EHR only and EHR with interfaces. This EHR system is also integrated with Stripe which caters to the debit and credit card processing requirements of medical practices. 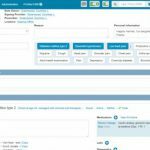 The patient scheduling module of this system allows clinicians to effectively manage the appointments they get daily. They can also allocate patients per their schedule and even cancel appointments when they need to. 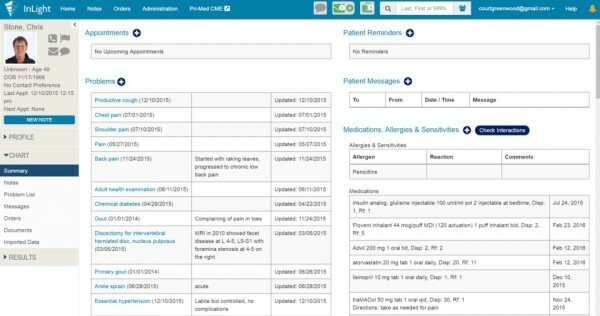 The e-prescribing feature allows clinicians to prescribe patients medications from the pharmacies of their choice. This increases ease of medication availability and benefits the patients greatly. InLight EHR is Meaningful Use and HIPAA compliant. 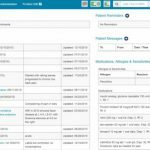 If you are a medical practice looking for a web-based EHR solution offering e-prescribing, medical document management, and patient appointment scheduling, then this might just be the system you need!